within a school year. We thank Major Donors in a number of ways including our year-end Major Donor reception and access to special events. 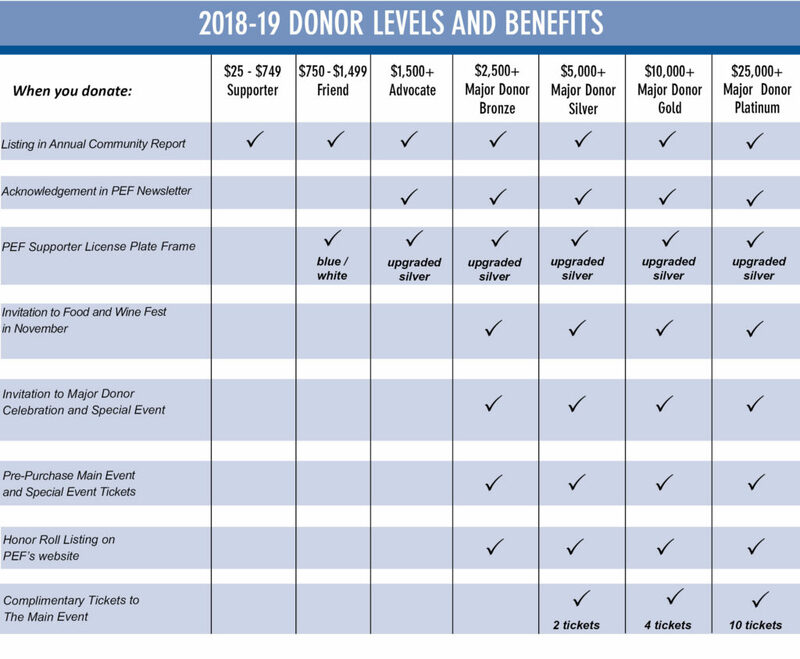 See the chart below for the complete list of Major Donor benefits. 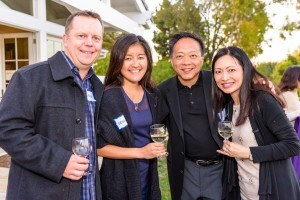 Our receptions are made possible with the generous support of donated space by our community business partners, families who open their homes to host events, as well as restaurant and wine donors. Click HERE for a list of our 2017-18 Major Donors. We so appreciate your generosity and commitment to our children and education in the PVPUSD.